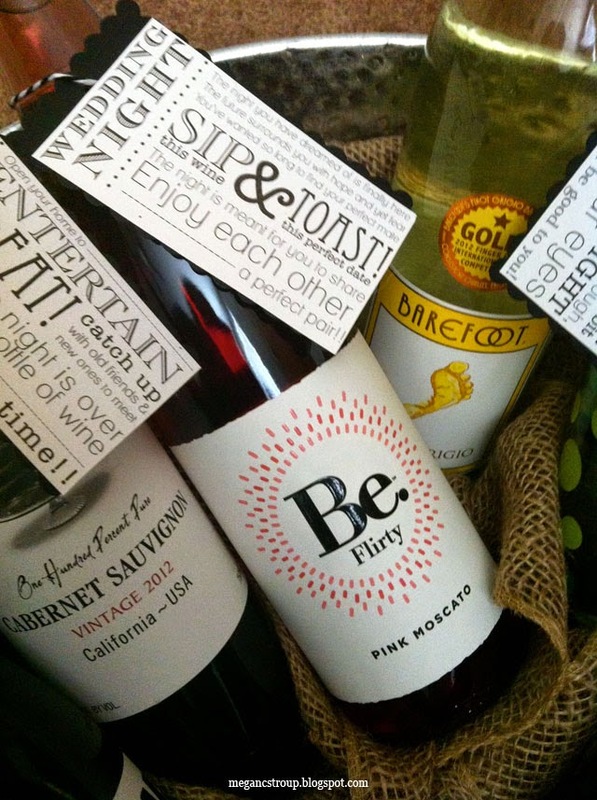 Semi-Charmed Kind of Life: The Perfect Bridal Shower Gift: A Creative Wine Basket! 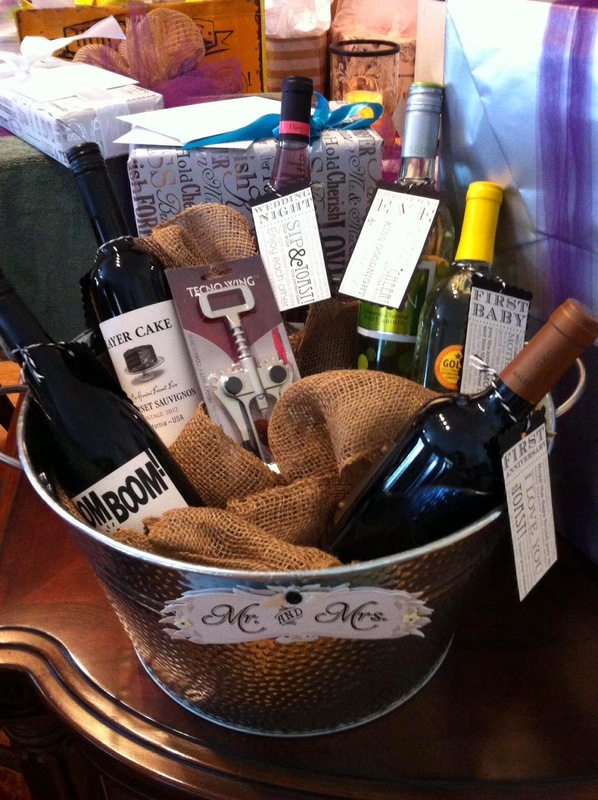 The Perfect Bridal Shower Gift: A Creative Wine Basket! Is it just me, or is everyone getting married?? 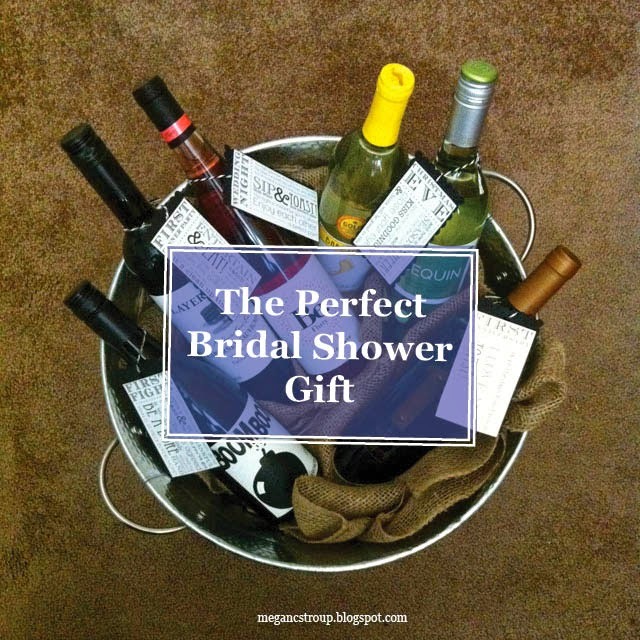 If anyone else is experiencing this same phenomenon and needs an awesome gift to take to the next bridal shower, I have the perfect solution for you! 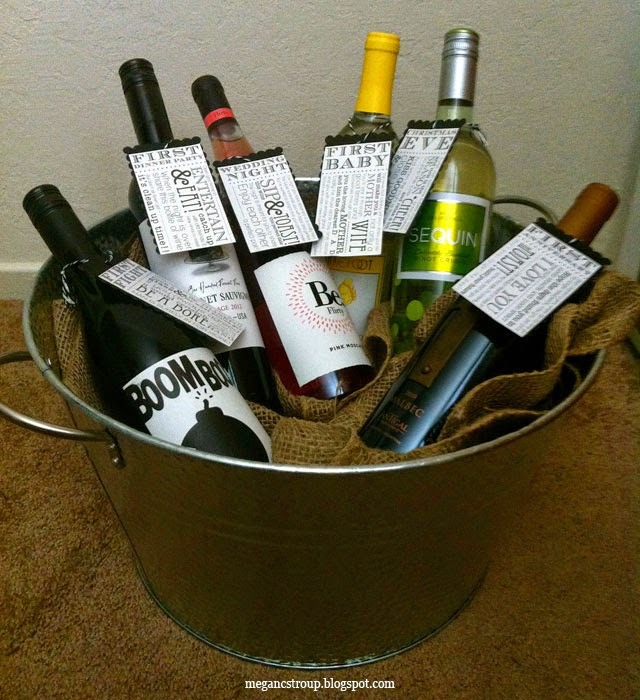 A bride-to-be wine basket. First, I must admit this is not my idea. 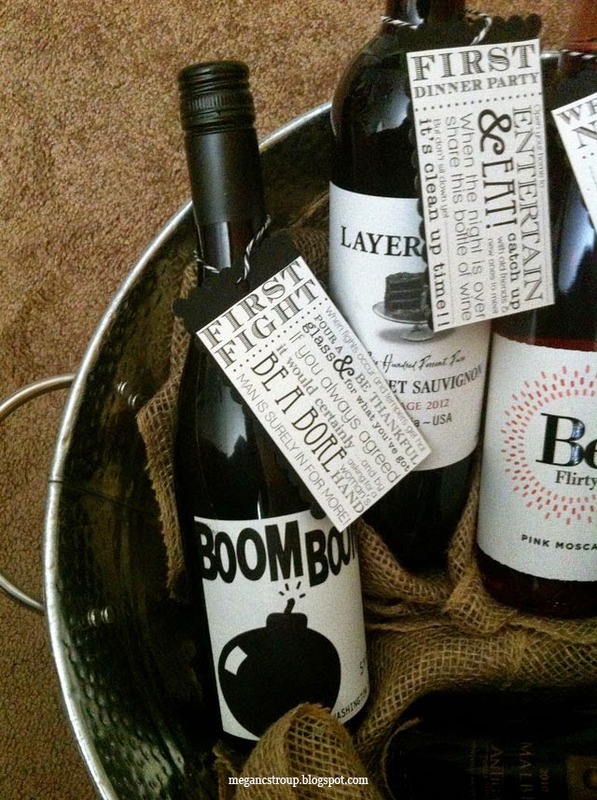 This was a gift I received for my own bridal shower a few months ago, and I was blown away by the creativity (and very practical gift of all those wine bottles!). This gift was from my fiance's cousin, Amber. 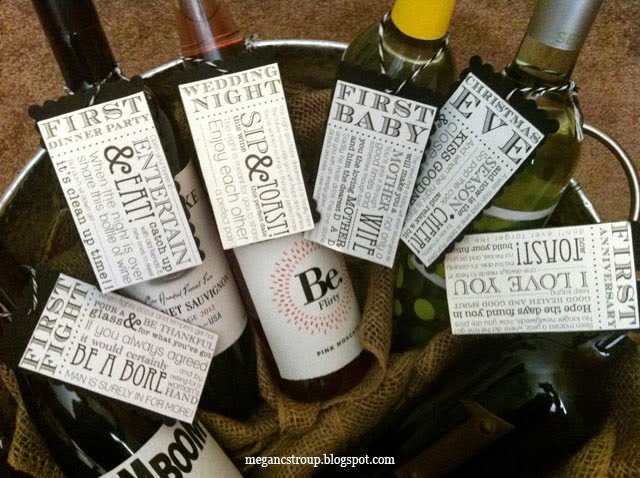 As you can see, she gifted six bottles of wine, each meant to be opened at a specific time during our upcoming marriage. Thankfully my mom snapped a picture of the basket before I brought my gifts home—it was a huge hit! Amber even went the extra mile by picking wines with names that matched the events, which was quite humorous. 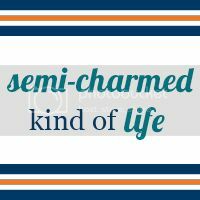 What is the most creative bridal gift you've ever given/received?